Tech 3 Yamaha MotoGP rider Johann Zarco says the scariest part of his horror high-speed shunt at Phillip Island was a sense that he'd never stop sliding once coming off his bike. 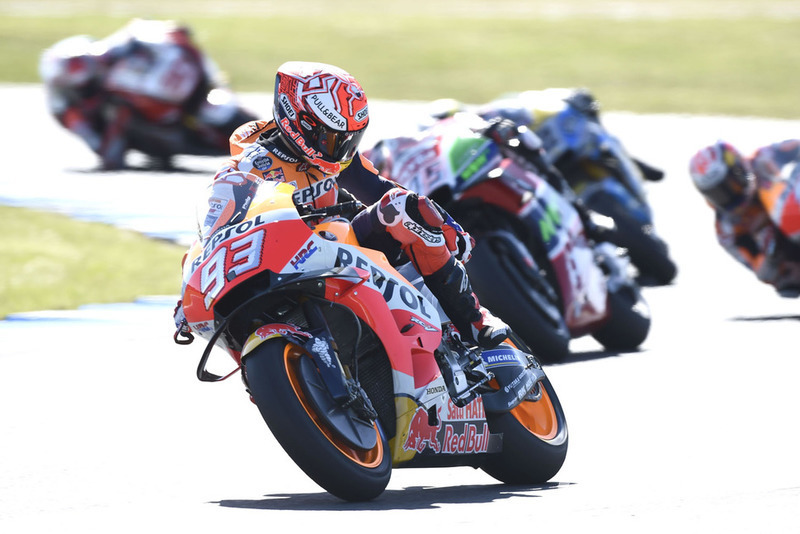 The Frenchman clashed with Marc Marquez at full speed at the end of the long straight early in the race, coming off his bike and bouncing wildly over the grass on the outside of Turn 1 on his back. While the crash looked easily as dramatic as Cal Crutchlow's frightening Friday shunt at the same part of the circuit, Zarco was quickly back on his feet and able to walk away without any serious injuries. Reflecting on the wild ride, Zarco said he felt like he was never going to stop while sliding across the grass, and that avoiding the gravel was key to not getting hurt. 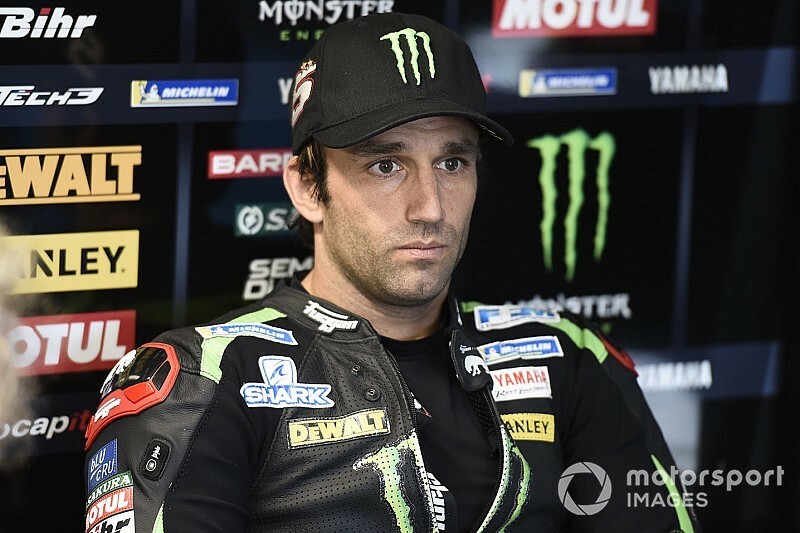 "When I was sliding at that speed I had the feeling it would never stop, so I was scared," said Zarco. "I was so stiff, pressing my fingers that I wouldn't hit anything. I did it to really make my entire body hard. "I was lucky that I stayed on the grass, I didn't touch the gravel. That's why I'm okay now. I stayed on the floor just to check if I was still okay. "I have some pain [in my right side], but I did an x-ray and nothing is broken." Detailing the clash with Marquez itself, Zarco said it was a product of a double two from both Marquez and Jack Miller, while the Honda rider was also in Miller's tow. "We were going so fast, there was not a lot of space on the left side," he said. "He was close to Jack and he came back into the race line for Turn 1. I was also there. "It was a pity, because I could have done a nice race. I was feeling good, I wanted to be in first or second or third to [use] my pace and maybe pull away. Maybe I could have pulled away with Maverick [Vinales], I don't know." He added that he's already cleared the air with Marquez, who managed to stay on his bike but was forced to retire from the race due to the impact. "I went to him just to say sorry, because I totally destroyed the back of his bike," the Frenchman added. "He told me no worries, the most important thing is that I didn't injure myself. "As a racer, as a sportsman, we totally understand each other." Marquez: Zarco and I both "lucky"
Marquez agreed that the crash was a racing incident and nothing more. "It was completely a racing incident because that point of track we arrive very fast," the 2018 champion said. "Miller was in front, I was behind Miller, and [with] the slipstream from Miller we arrived over 300 [km/h]. "I braked even a little late, I just tried to stop more, but then I felt the contact because Zarco had slipstream from two bikes. Of course you can say maybe he can consider this, but for me it is a racing incident. "I already spoke with him and I feel really lucky today because me and him, we are okay, and this is the most important things."